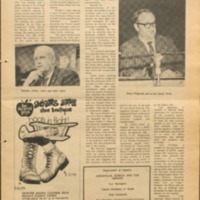 Item consists of pages 12-13 of the Dalhousie Gazette, Volume 112, Issue 7. 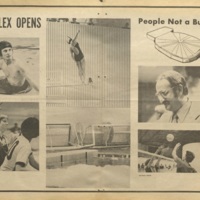 The pages feature photographs from the opening of Dalplex at Dalhousie University. 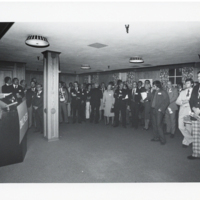 Item is a photograph of the Dalplex Campaign kick-off reception held on October 13, 1977. Photograph shows Dalhousie University President Henry Hicks (far left) speaking at a podium to a room of guests. 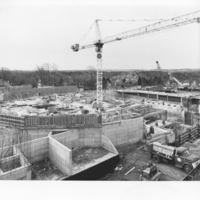 Item is a photograph from the construction of the Dalplex in 1977. 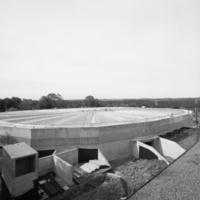 The photograph shows how the lot looked from view 4 on January 6th, 1977. Item consists of page 1 of the Dalhousie Gazette, Volume 109, Issue 18. The page features an article called "South Street Homes Damaged." Item consists of page 3 of the Dalhousie Gazette, Volume 106, Issue 8. The page features an article called "PhysEd Complex Hearing Wearisome." 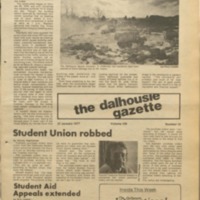 Item consists of pages 11-15 of the Dalhousie Gazette, Volume 106, Issue 4. 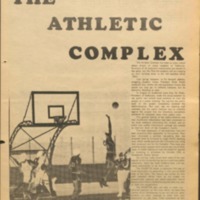 The pages feature an article called "The Athletic Complex Controversy." 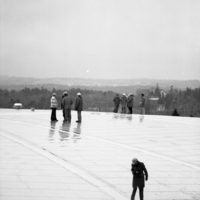 Item is a photograph of several men standing on the roof of the Dalplex at Dalhousie University. 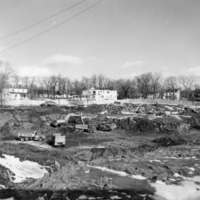 Item is a photograph taken during the construction of Dalplex at Dalhousie University. 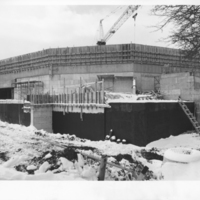 Item is a photograph taken during construction of Dalplex at Dalhousie University.